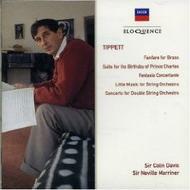 A splendid Tippett anthology and an ideal introduction to this composer. ... On any count, the Concerto for Double String Orchestra is one of the most beautiful works for strings of the 20th century. ... Superb 1970s recordings and altogether an outstanding compilation.